Millennials will be key in filling the many manufacturing jobs that will be left vacant through retirement over the next several years. An intentional strategy can help employers to recruit and retain these valuable millennial employees. You know that modern manufacturing jobs are performed in clean, healthy conditions with minimal physical strain. Machines and robots do many of the repetitive and physically demanding jobs while humans are needed for more creative input. But for decades, manufacturing jobs have been dismissed as underwhelming career choices. You can correct these outdated beliefs by demonstrating the rewards of a career in manufacturing to attract millennials who will become dedicated, long-term employees. When they feel they are working for something important, and are challenged and rewarded by their job, millennials are more than willing to give you 110%. More than 80% of millennials say they're willing to put in a great deal of effort beyond that normally expected in order to help their organization be successful (Boston College). Millennials want a high-tech work environment. They’ve grown up using technology, valuing the flexibility of mobile devices, and they expect to have the same tools on the job site. They also know how your company can benefit from using tech and have great respect for companies who take the time to learn about and make use of technology. They look to companies like Apple, and Google, who are leading the way in reforming the image of corporate culture. Flex time, casual dress, and workout rooms are among the amenities that millennials have come to value. While you don’t have to provide on-site gyms, you can find the perk that your company can offer to inspire and engage millennials. Millennials are motivated by corporate culture, professional development, and engagement. In fact, “engaged millennials are 64% less likely to say they will switch jobs if the job market improves in the next 12 months,” according to Gallup. Investing in training shows millennials that you value professional development and want your employees to feel challenged and rewarded. They’ll be happy to know there is room for growth and improvement in manufacturing jobs. Look into innovative training companies like Area9 Learning, which provides optimized training that is tailored to the learner. With Area9, learners can achieve mastery in 50% less time than with traditional learning methods, saving your organization time and money. With their new training, employees will be more efficient and productive due to their increased knowledge. They will also feel fulfilled in their professional lives because of having the opportunity to learn and improve. - Diversity and inclusion are very important values to millennials. They want to be around people who share these values. Demonstrate your company culture through your diversity and inclusion program. - Look for opportunities for outreach and ways your company can give back to your community, if you don’t already have these programs in place. Impacting your community in a positive way will also help to build brand recognition and create trust and rapport with your ideal clients. Look for ways you can continue to improve your company’s sustainability. Millennials are inheriting a pretty messed up world. Show them you want to improve their future. Keep up to date with any programs and incentives in your area for green energy, waste reduction, and minimizing your environmental footprint. Show your employees that you value their work by offering them a competitive salary, attractive benefits, and reasonable vacation time. All of these things combine to create a positive work-life balance. 95% of millennial employees report that work-life balance is important to them, with 70% saying it’s a very important aspect of their careers (Deloitte). The manufacturing industry drives the eastern Ontario community because it provides good stable jobs that enable people to provide for their families, and achieve a healthy work-life balance. Millennials are starting families, buying houses, and looking to put down roots. In addition to stable manufacturing jobs, eastern Ontario provides affordable housing, outdoor activities (lakes and trails), and several clubs/teams to join (all ages). It’s only a short drive to several big cities (Toronto, Ottawa and Montreal), but millennials can find everything they need right here in eastern Ontario. How Can You Communicate Your Company Culture? The best way to reach your millennial job seekers is online. Social media engagement is the main one. Local Belleville manufacturer, The Machining Center Inc., has made a huge impact on Instagram. Blog posts present a window into your company culture. You can get a bit more in depth with a blog than with a short social media post, so once your social media has grabbed their attention, use your blog posts to keep them interested. Provide quality content that is relevant to the reader. Work with an inbound marketing agency to create an entire strategy around getting your company message out to the right audience, including millennials. 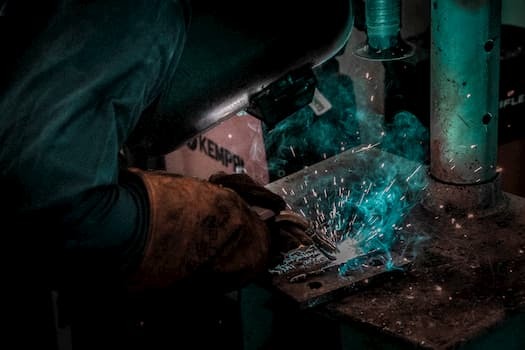 Consider using Edge Factor, a program created to connect high school students with local manufacturing employers, so you can start working on how to recruit the generation after millennials: Generation Z. Sponsor or host a community event that is geared toward millennials and relates to manufacturing to get your name out there and make informal connections. Millennials thrive on social connections. To learn more about the long-term professional and personal opportunities in the region visit the Ontario East Economic Development Commission. Download this e-book to find out what’s keeping the next generations from manufacturing and how to attract their talent to the industry.